The 2014 Annabelle movie was also set in Southern California, with the story in 1967. The Conjuring, which came out in 2013, was set in 1971. The Conjuring 2 was set in 1976 and 1977. So The Curse of La Llorona appears to fit into the timeline between between the first two Conjuring movies, just a few years after Father Perez’s experience in Annabelle. 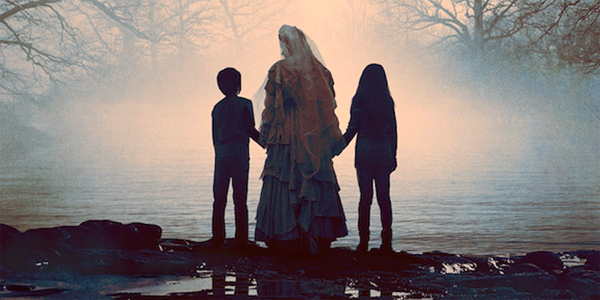 The Curse of La Llorona was produced by James Wan, who directed the first two Conjuring films before passing the reins to Michael Chaves for the upcoming third movie. This is the sixth film in The Conjuring Universe after The Conjuring, Annabelle, The Conjuring 2, Annabelle: Creation, and The Nun. It precedes Annabelle 3, aka Annabelle Comes Home, which just announced its title and June 28, 2019 release date. The Conjuring 3 is reportedly scheduled for September 11, 2020. The Crooked Man should be following them at some point, but there’s no set date right now.